July 26, 2015 By Clive Tonge There have been 42 pageviews. 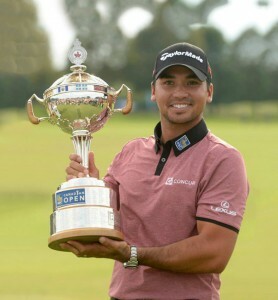 Jason Day captured his fourth PGA TOUR victory at the 2015 RBC Canadian Open at Glen Abbey Golf Club in Oakville, Ont. The Australian shot a final round 4-under 68 with six birdies, including a string of three to conclude the round, to finish 17-under. “For this to be the third oldest tournament, and to come off what happened last week and be able to get the putt to the hole this time and come out as a winner, it just feels fantastic,” reflected Day on today’s victory. The 28-year-old narrowly missed out on a playoff at The Open Championship the week prior to making the trip to his third RBC Canadian Open appearance. The resilient Day bogeyed holes 8 and 9, but roared back with three consecutive birdies across the three final holes to secure the title. The Canadian crowds throughout the competition have shown a clear affection for the champion. Entering the final round of competition, Day was tied for second with Bubba Watson behind leader David Hearn of Brantford, Ont. Watson tallied eight birdies, including four straight across holes 15 to 18. Despite a runner-up finish at 16-under, Watson remained positive on his return to the RBC Canadian. 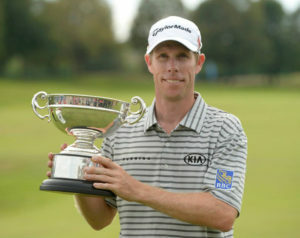 The Day victory ends David Hearn’s bid to become the RBC Canadian Open’s first Canadian champion in 61 years. Hearn became the first Canadian to hold a 54-hole lead at the RBC Canadian Open since Mike Weir in 2004. Despite coming up just short in his 13th bid for Canada’s National Open Championship, he reflects on the experience with pride and appreciation. With the third place finish at 15-under, Hearn earned the Rivermead Cup as low Canadian. It was the third time he claimed the honour. The Gary Cowan Medals for low amateur honours were presented to Team Canada National Amateur Squad members Austin Connelly of Irving, Texas and Burlington, Ont., native Blair Hamilton. The co-recipients finished at 1-under and were two of the three amateurs alongside Ryan Ruffels to advance to weekend play. The champion now sets his sights on the 2016 RBC Canadian Open. The RBC Canadian Open will return to Glen Abbey Golf Club for a record 28th time to build upon the continued partnership and legacy between the storied club and Canada’s National Open Championship.